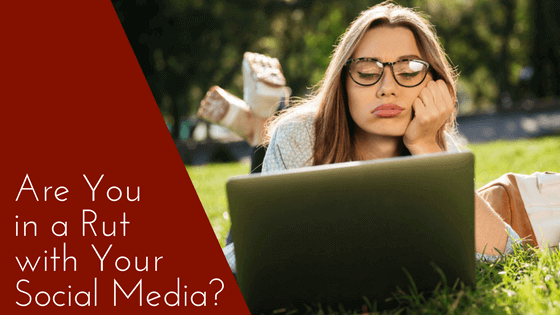 Are You in a Rut with Your Social Media? Keeping up with social media posting can be tedious. You’re always in content gathering mode and you end up feeling like you’re losing time with client work. Sometimes it feels boring. It’s not like you’re getting engagement anyway. Does this sound like you? The truth is, social media can bring you new clients so you can’t just let it go. Maybe you’re just in a rut and you need to take a time-out to figure out a new strategy? Check out your stats. You know, the ones that matter, not just number of followers. Look at what posts are getting engagement. What are they about? What kind of engagement are they getting? What posts are not getting engagement? What are you posting? Is it quotes all the time? Are you mixing up different types of posts? Does it look like a robot is posting for you? 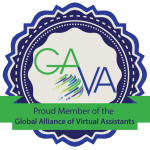 Are you reviewing your accounts daily? Are you replying to comments? Remember, social media has the word “social” right in the title. If you aren’t spending any time there, why should anyone else? Do your posts reach your target market? Who is your target market? What are they looking for? Are you providing answers to their most sought-after questions? Are you on the right social media channels? Are you on too few or too many? Where does your ideal customer hang out? It might be time to consider changing things up. Add or remove channels to better match your goals. What seems to be trending in terms of social media posting? Instagram Stories Highlights are taking off right now. If Instagram is a great place for you to be, consider adding them to your posting strategy. Is it time to add video to your strategy? It’s one of the biggest trends for 2018. Check out these tips for leveraging social media and what’s working on each channel. Consider less promotion; more engaging and sharing. No one wants to see sell, sell, sell all the time. You would stop following others that did that. Don’t expect your followers to stay if that’s all you do. Share valuable content others are posting. Make sure it’s about something your ideal customer wants to know. Engage on other posts and reply to comments made on your posts. Take out a piece of paper and list out a few bullet points of what you want to change. Then, work those changes into your posting strategy. Make sure you give it time before you decide that it’s not working. It can take about 3 months before you can really notice a trend. If you’re having a hard time, consider having a trusted colleague or mentor look at things for you. Their outside perspective can be very valuable. Sometimes a new approach is all you need to bring back life to your social media strategy.